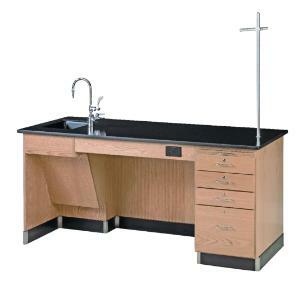 With paddle handle faucet and gas fixtures, this desk also features a roll-under sink. Knee space is 30" wide to accommodate a wheel chair and meets 34"H ADA requirements. 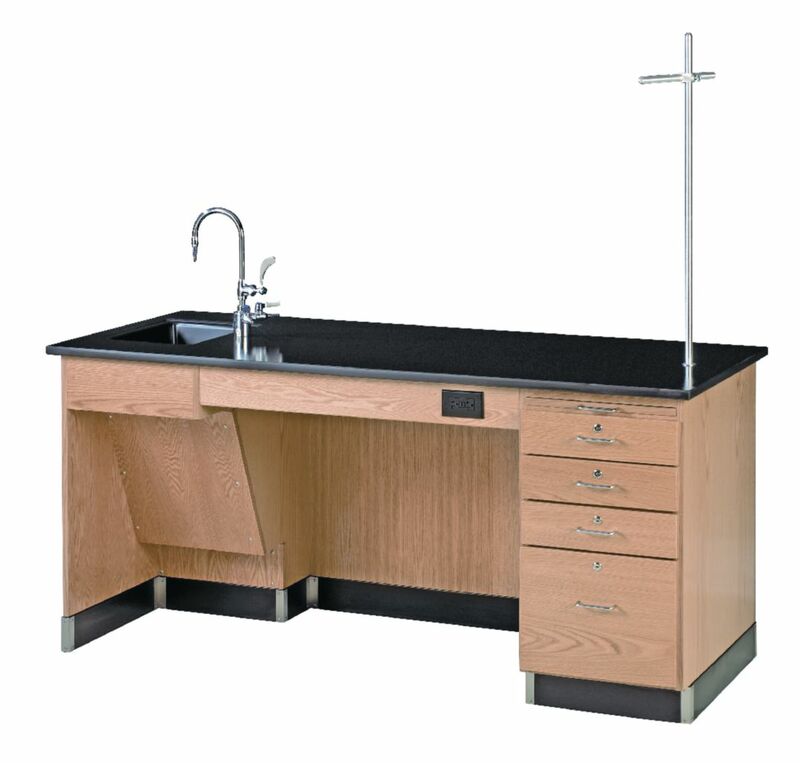 The unit comes with a duplex outlet, file drawer, three smaller drawers, a pull out writing board, 14" x 10" x 5"deep epoxy sink and an upright rod assembly. Overall size: 72"W x 30"D x 34"H.